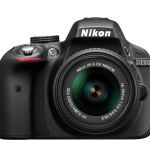 Home / News / These are the reasons why Nikon won’t be launching a CSC with APS-C sensor or a Full Frame on the short run. Everyday more photograph enthusiast ask us show is it possible that Canon and Nikon have not placed their bets on the mirror-less cameras. They could keep their confidence in their DSLR, but they could also empower a bit more their CSC offer. But Nikon’s stand is very different. During a press release in PhotoKina, celebrated last week, the product owner of Nikon Europe, Dirk Jasper, as they reflect in “Amateur Photographers”, explained the reasons why the Japanese company “is satisfied” for the moment with its compact system camera family Nikon 1. It seems that they won’t be launching a CSC with APS-C sensor of Full Frame any time soon. The first thing that Jasper did it seems, was to show its confidence in its Nikon 1 that, according to the brand, sold great. 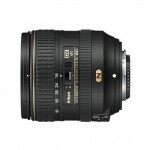 In fact, he said that the Nikon 1 V3 is sold so well that they are not capable of satisfying the demand. On the other hand, he defended that some CSC undermine the philosophy of compact cameras that, according to him, they have to protect. He quoted Fujifilm’s X-T1 and Sony’s A7 as examples of mirror-less cameras without bulky cameras mirror and not much more compact compared to the DSLR. I, honestly, have tried both and have not particularly agreed to this. 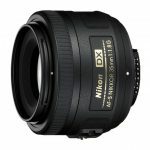 But it seems that the real real reason why the Nikon doesn’t seem to be launch debating on whether to launch a semi-professional or professional CSC, with an APS-C sensor or Full Frame that are used, for example, by the mentioned X-TI and A7, is none other than market’s behavior. Jasper assured that the sale of DSRL cameras is growing much more that the CSC. He also assured that they do not have the sensation that their professional clients, many that already have created an important DSLR optic patrimony, they are asking that professional CSC missed some. But apparently, the real reason seems to be posing no Nikon launch a professional semi CSC, or, with an APS-C or Full Frame as those used, for example, the aforementioned X-sensor T1 and A7, no another is that the market behavior. Jasper said the sale of DSLR cameras is growing much more than CSC. And he also said he did not have the feeling that their professional clients, many of whom already have a heritage of lenses for DSLR important, they are asking that professional CSC missed some. These are their reasons, and they are as respectable as the decisions taken by other brands to highly bet on compact system cameras. In any case, time will allow us to find out which company has taken the correct road. 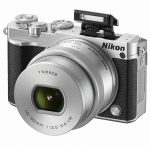 What do you think of Nikon’s arguments? Next Interviewing Torben Hondong from Fujifilm: X-Pro2 and future lenses.